Rome began to expand while quarreling with neighboring cities and provinces. It became difficult to organize, so they elected Julius Caesar. He pushed things even further by naming himself dictator for life which angered many people. Instead, Caesar's stepson Octavian took over and received the name "Augustus". 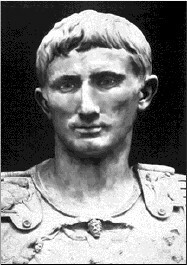 The reign of Augustus brought much appreciated peace and prosperity to the Roman world. The Romans flourished in practical disciplines like organization, administration, government, and law. They were warriors, builders, and administrators. Their culture was greatly influenced by the Hellenistic world. Rome's religion was directly imported from Greece. Slavery was an institution vital to the economic structure of both the Roman Republic and Roman Empire. Before Jesus died, he had a plan for his disciples. They would receive the Holy Spirit and spread God's word to the masses. This resolved all of their worries, fears, and doubts. The Apostles were certain that the Church of Christ would become a living sacrament of His love, truth, and power. The Church is one because all Catholics profess the same teachings and recognize the authority of the pope. The Church is holy because the the aim of the Church's teaching and sacraments is the holiness of its members. The Church is catholic because the universality of the Church includes all ages, all races and nationalities, and every time period. Lastly, the Church is apostolic because the church us built upon the foundation of the Apostles. They left their former lives and dedicated themselves to following the Lord. 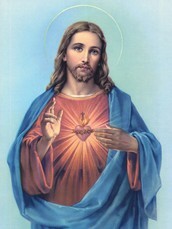 The early Christians enjoyed the historical chance to be in the same time period with Jesus and the Apostles. They offered their suffering in the celebration of the Mass and took the task of building a new civilization of love. It was not always easy being a follower of Jesus. Some Christians left the faith because of the overwhelming sacrifices that came with it. However, there were other Christians who kept the faith and never gave up. They Holy Spirit gave them the strength to believe no matter what happened. There powerful faith in Jesus changed the Roman world and its values. The Church grew as an institution and a community of believers united as the Mystical Body of Christ. Life may have seemed easy for the Christians and their tremendous faith, but it was not. The early Christians referred to the Faith as "the Way." Living the Way required a life of integrity and a strong commitment to become a disciple of Christ. It was a huge sacrifice to live like this because of the big risks.The Romans did not trust Christianity, so they would torture the believers in public places. Many thousands of Christians lost their lives during this time of the Roman Empire. They were a minority and were considered criminals in the eyes of the state. The harsh persecutions did not stop them from spreading His words. The Church continued to preach the teaching of Jesus at any cost. The persecution of Christians led to a series of heresies that ruined the Church. Divine intervention helped guide the Church through the trials. There were two types of heresies: material and formal. Material heresy was entered through ignorance of the truth, misunderstanding, or non-comprehension of the Faith. Formal heresy was entered because of the possibility to freely choose. In order to meet these challenges, the Church held many ecumenical councils. Bishops from all over the world come together under the leadership of the pope to discuss central issues of the Church. The people that lead the Church were the Church Fathers. They were great and holy leaders who met the problems of the heresies. 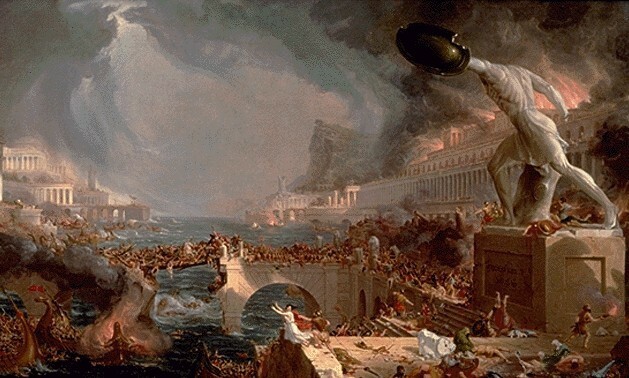 The Roman Empire began to collapse causing the West to pass away. Confusion, wars, invasions, and insecurity was a big part of the falling. Despite all this, the Church was the only institution that remained firm. The people continued to preach the scripture even though life was difficult. The Holy Spirit inspired them to make a difference that would change society. Monasticism also began to rise which was a way of life characterized by prayer and self-denial. They dedicated their lives of prayer and penance to Christ. The Church held the powerful light of Christ through the darkness that was put upon the world. 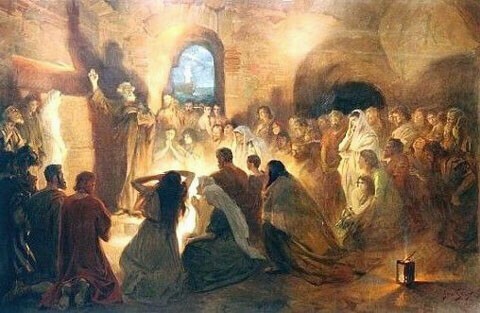 The Church converted many people into the faith. But, the East and West started to divide causing different languages, cultures, geography, and conceptions of political and religious power. Tension had developed between the two. Problems began to occur which shattered the thousand-year communion of the East and West. Two distinct forms of Christianity was one of the results of the split. The East turned violently into the Iconoclastic Controversy. The West developed itself under the leadership of the Franks and the popes. The major differences between Eastern and Western Christianity primarily involves the teaching authority and jurisdiction of the papacy established by Christ through his Apostle St. Peter. The Crusades were specifically a series of eight expansive military expeditions that the Christian people went through between the years of 1096 and 1270. 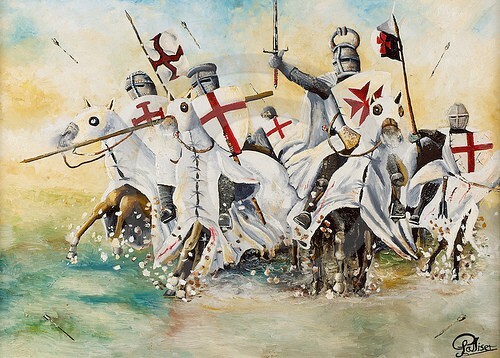 The goal of the Crusades was to take back the Holy Land from the Muslims. The Crusaders won some and lost some. The guided light of Divine Providence helped the people of God to fight for what is right. The Church tried their best to spread and protect the faith by pushing the kingdom of God forward. It was not easy getting men to help fight. The Church offered incentives including the reduction of taxes, dissolving of debt payments, and the protection of the crusaders' families. The crusaders took the vow of the Cross, expressing sentiments of piety, self-sacrifice, and love for God. The Inquisition began in response to the Albigensian heresy which was growing strong and fast. 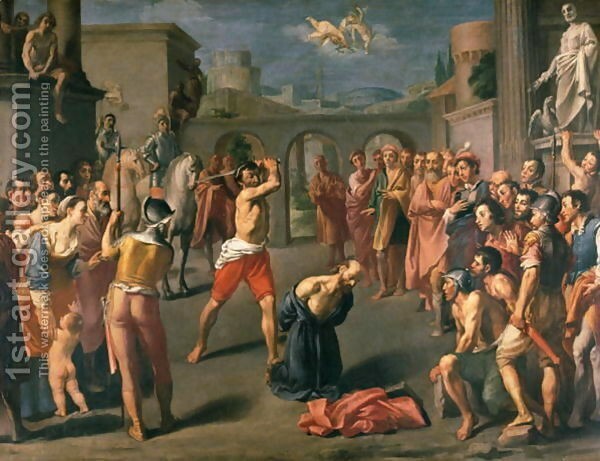 Albigensianism was for the people who misunderstood the Christian piety and self-sacrifice. They saw this action as evil for the body and good for the soul. Many were attracted to its emphasis to the Gospel. The teachings of Albigensianism was a dangerous threat to the Christian world since their teachings struck at the core of the Catholic faith. They believed in two gods that governed the universe. The pope began a plan to fix this. He ordered special judges to examine and judge the doctrinal opinions and moral conduct of suspicious people. 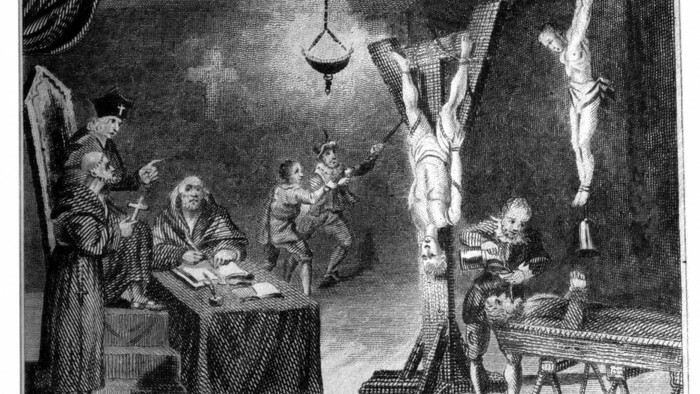 The process of the Inquisition was that the suspected people would be punished and sometimes imprisoned. 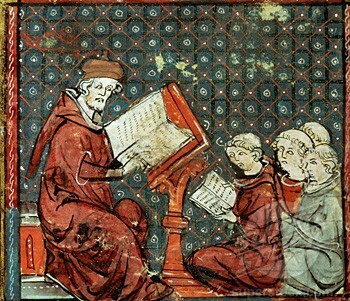 Monks and nobles demanded the increase of education, so schools began to develop expanded areas of study for their student bodies. In the north, masters united to form a universitas (universities) which was a type of corporation that protected the educational and administrative interests of its members. Later, a new discovery of Aristotle's works helped students have a better knowledge of theology. This new style of philosophy was known as Scholasticism. This led to a rebirth of interest in Classical philosophy and the relationship between Faith and reason. The High Middle Ages was also a flourishing time in Christ's Church. 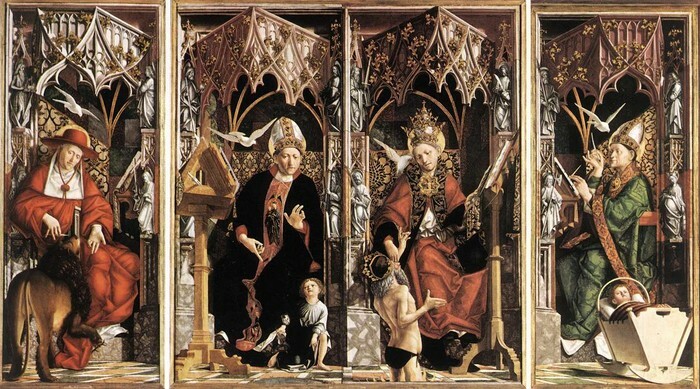 Christian philosophy, piety, and art boldly ventured into new heights, and the saints of this period showed how holiness benefits all of society. 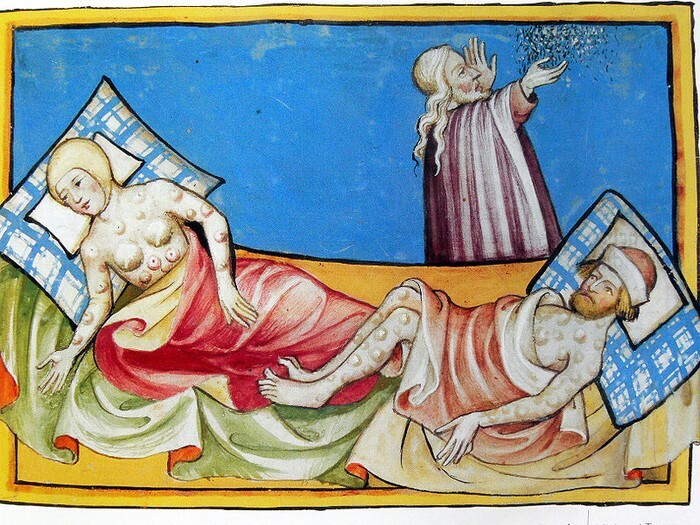 The black plague was a large-scale famine that struck Europe. It is estimated that approximately twenty-five million people died which is a third of Europe's population. The disease caused swelling of the lymph glands to nearly the size of eggs in the groin, neck, and armpit areas. Black patches would appear all over the body as blood pooled below the surface of the skin. Proper treatment and prevention was unavailable because it the cause of this was unknown. Also, it laid waste to the political, intellectual, and economic leadership of Europe. Sometimes entire towns or monasteries would be destroyed by the plague. Mothers would leave their children and husbands to avoid contamination. The Jews were accused of poisoning wells and causing the plague. 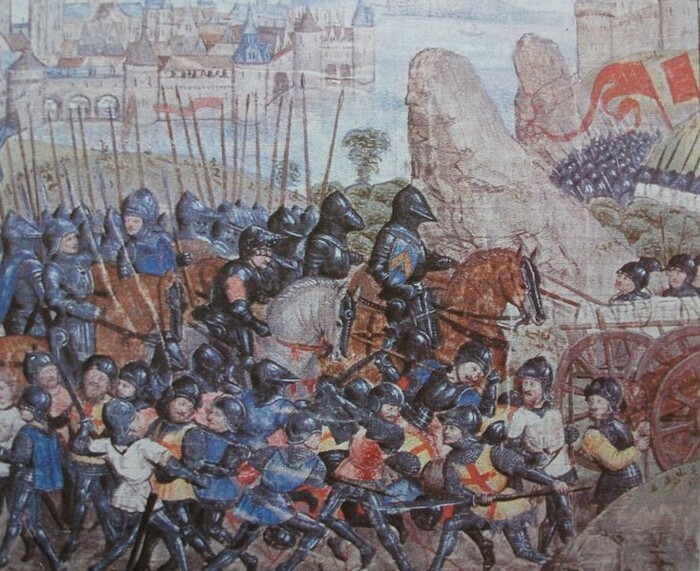 Another major crisis occurred in Medieval Europe which was called the Hundred Years War. It was a series of short battles interrupted by long periods of relative peace. The English gained the upper hand early in the conflict. English forced destroyed the French knights at Crecy even though they were outnumbered. A new weapon was made which helped them win. It was a long bow that could shoot a yard-long arrow as far as 400 yards at the rate of five to six arrows a minute. This invention would later change the style of combat during the Hundred Years War. France also won a few battles from the help of a young peasant woman named Joan. St. Joan was born at Domremy in Champagne. She began to hear voices and had visions of light which St. Michael the Archangel, St.Margaret, and St. Catherine of Alexandria appeared to her at age thirteen. As she grew older, she convinced the king to let her lead a small army to recapture the city from the English. Her missions were not a success making the king and his advisors upset. 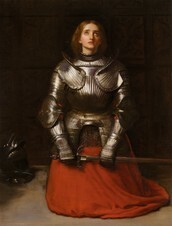 Joan led another small army of five hundred soldiers against a far stronger force but she was captured by the English. King Charles was beginning to get irritated with her lack of power to win, so he decided to burn her at the stake even though she was innocent. She died on May 30, 1431. Her efforts enabled the French army to begin a counter-offensive against the English. The Church and Europe started to change as the fourteenth century ended. All the achievements of the middle ages helped push Western civilization in a new direction. The nation-state began to rise from the collections of kingdoms and fiefs, and universal access to commerce began to erode the feudal system's vassal-lord relationship. This was called the Renaissance which was one of the pinnacle moments in human history. 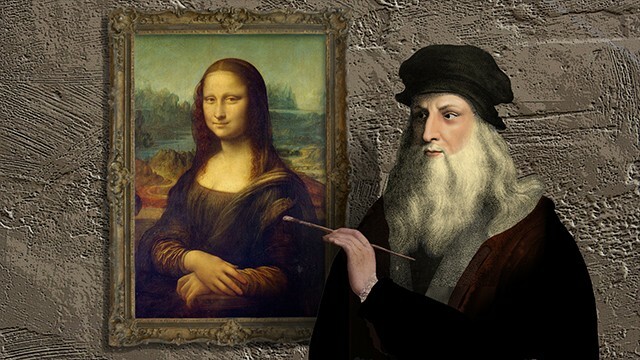 It offered the social climate perfect for the rise of Christian humanism, a rebirth in classical principles, and magnificent developments in fine arts. It was also a time when thinkers and artists grew confident enough to explore human understanding and beauty outside the realm of religion. The Protestant Reformation was a major 16th century European movement aimed initially at reforming the beliefs and practices of the Roman Catholic Church. Its religious aspects were boosted by ambitious political rulers who wanted to extend their power and control at the expense of the Church. 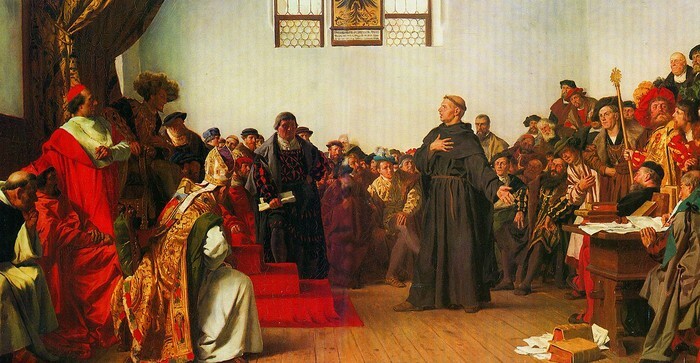 The Reformation ended the unity imposed by medieval Christianity and, in the eyes of many historians, signaled the beginning of the modern era. A weakening of the old order was already under way in Northern Europe, as evidence by the emergence of thriving new cities and a determined middle class. In England, the Reformation began with Henry VIII’s request to divorce. When Pope Clement VII refused to annul Henry’s marriage to Catherine of Aragon so he could remarry, the English king declared in 1534 that he should be the final authority in matters relating to the English church. Henry later ordered England’s monasteries to confiscate their wealth and worked to place the Bible in the hands of the people. Beginning in 1536, every parish was required to have a copy. After Henry’s death, England tilted toward Calvinist-infused Protestantism during Edward VI’s six-year reign and then endured five years of reactionary Catholicism under Mary I. In 1559 Elizabeth I took the throne and, during her 44-year reign, cast the Church of England as a “middle way” between Calvinism and Catholicism, with vernacular worship and a revised Book of Common Prayer. The Church embarked on the greatest missionary expansion of history, reaching out to millions of new faithful around the world. This amazing period of evangelization came about through the efforts of a relatively small number of holy missionaries who truly believed that "God desires the salvation of everyone." The good news of Christ was beginning to spread in Asia, Africa, and the New World. 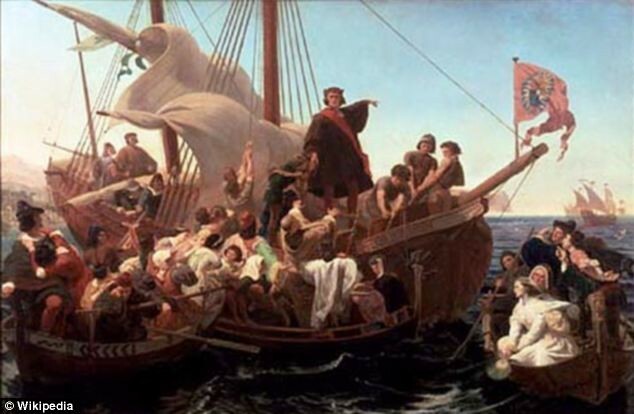 The person who discovered the New World was Christopher Columbus which would later provide a new opportunity for the people to find God. The lands of Asia, mostly the Philippines, had many people convert to the Faith. Our Lady of Guadalupe helped even more people discover God by appearing to the three children. This served as a moving sign and offered hope to the New World. The Church faced both political and philosophical problems. It felt as if the whole world was turning against the Catholic Church and its teachings. A great scientific discovery was discovered to fix this problem. 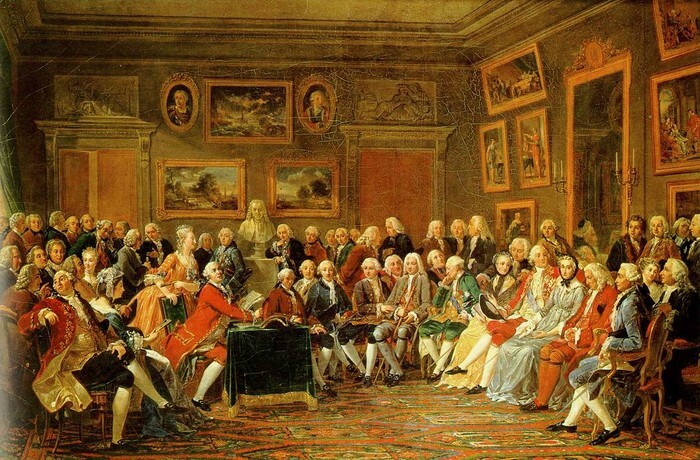 This was called the Age of Enlightenment which was an intellectual movement that sprang up from a wholehearted enthusiasm for scientific progress. As scientific discoveries began to prove the effectiveness of human reason and show that scientific knowledge could be useful in many areas of human life, many began to believe that the study of science and nature could help correct all problems of society, including poverty, disease, and war. This new deep-rooted belief in the potential of scientific thought started a new skepticism. For the thinkers of the Enlightenment, what could not be proved could not be called true. Rationalism, took over precedence over faith, and reason became the guiding principle of this new philosophy. Communism started to rise in Russia causing serious problems. 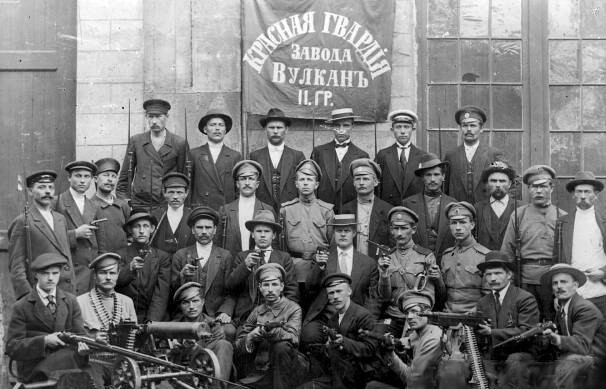 Soviet Communism was to become the driving force behind an international program of subversion, revolution, conquest, oppression, and religious and political persecution that cost millions of lives. Religious persecution was a major element of the Communist program. Both Catholic and Orthodox churches were destroyed and put to other uses including dance halls, stables, museums of atheism, chicken coops, and public baths. The Russian Orthodox Church was seen as nationalistic as well religious and was therefor allowed to exist. However, they did not like the Catholic Church. They got rid of most of the Catholic Churches and sentenced the last Catholic bishop in Russia to ten years in a prison camp. Unfortunately, it would take fifty more years for the Soviet Union to crumble and for Communism to fall. 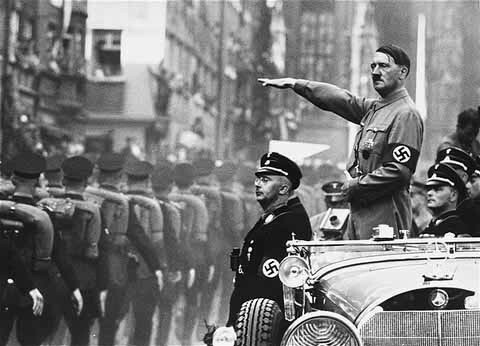 Germany was in political and economic turmoil when Hitler came to power in 1933. Nazism was a blend of nationalist totalitarianism, racism aimed especially at Jews. It maintained that superior individuals "supermen" had a right to ignore conventional morality and live by their rules. Some German Catholics opposed the Nazi regime from the beginning and others turned against it as time passed. Other supported the government and served willingly in the military, believing this to be their patriotic duty. Pope Pius XII published a powerful indictment of Nazism and the Nazi regime which was read by the people of the Catholic Church in Germany. Charging the regime with repeated violations of the concordat and an open attack on the Church. The Nazis were upset by this, so they launched a campaign of propaganda against the Church. When Pius XII was elected pope, all-out war in Europe was already inevitable. He worked strenuously to promote peace and try to prevent World War II. Once war broke out, he continued to appeal for peace. He knew World War II was a different kind of war and the Vatican could not be satisfied with simply acting as a voice of peace. 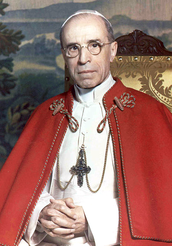 Pius XII privately offered to serve as a channel for communication between anti-Hitler elements in Germany and the Allies. Hundreds of thousands of Jews' lives were saved through the efforts of the pope and other Vatican officials working under the shelter of neutrality. Hitler was so upset with the effective resistance of the Vatican that the Nazi SS prepared a plan for assassinating Pius XII, but it never happened because the war ended too soon. 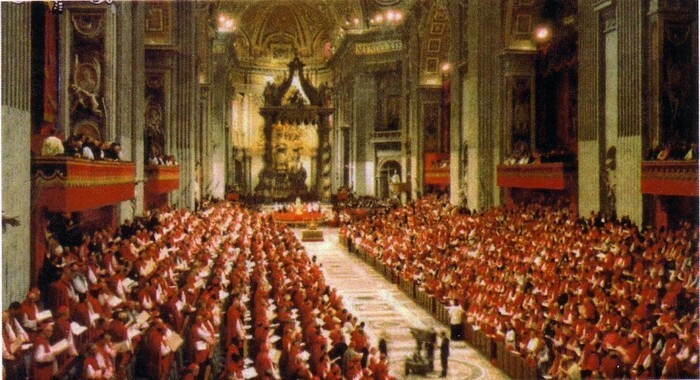 The Catholic Church was united in doctrine, worship, and loyalty to the pope and bishops. The Catholic population was growing rapidly in many places, especially the Third World. Priestly and religious vocations flourished, and lay movements were strong and enthusiastic. The Church seemed strong despite frequently confused and troubled times the world had been experiencing. At the same time, other things began to happen that would cause problems. Living under the threat of nuclear extinction in the Cold War, Catholics along with everyone else fought with the moral dilemmas of nuclear deterrence and modern warfare. Also, people began to have secular attitudes towards Matrimony and sexuality which changed the way the family and society understood itself. Abortion was legal in some places. Vatican II did not encourage or cause these things, but the winds of change contributed to bringing them about. 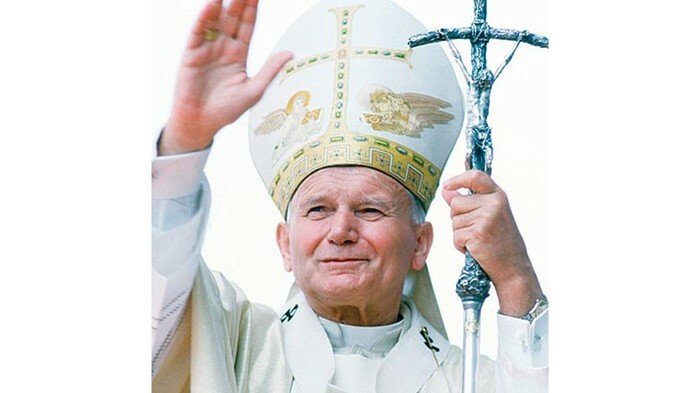 John Paul II faced difficult situations throughout the Church, especially Western Europe and North America. Dissent and defections had weakened Catholic life and resistance to papal and episcopal authority was ruined. He tried to fix this by posing the question "What could he do to change things for the better?" He could write and teach, so he wrote fourteen encyclicals and countless documents on topics from economics to the spiritual life. He firmly upheld traditional positions on matters like contraception, abortion, divorce, the celibacy of priests in the Western Church, and the impossibility of women's ordination. He traveled frequently and had outdoor Masses and colorful ceremonies that drew huge crowds. He did this in order to foster unity and strengthen the Catholic Faith. chapter 21: the church of immigrants to the u.s. 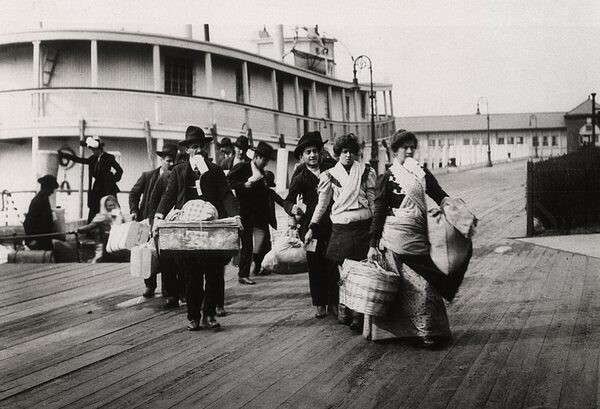 In the nineteenth and twentieth century, many Catholics immigrated from Europe to the United States. They moved to America because of the promise of work, land, and religious and political freedom. Three million of the Catholics came from Ireland, Germany, and France and one million came from Poles, Slovaks, Ukrainians, Italians, and other. These immigrants quickly spread out from the East to many other parts of the expanding nation. Chicago, Milwaukee, and St. Louis became important Catholic population centers because of this. The growth of American Catholicism was remarkably rapid. Church leaders provided personnel and parishes, schools, convents, and other institutions to keep up with the expansion. 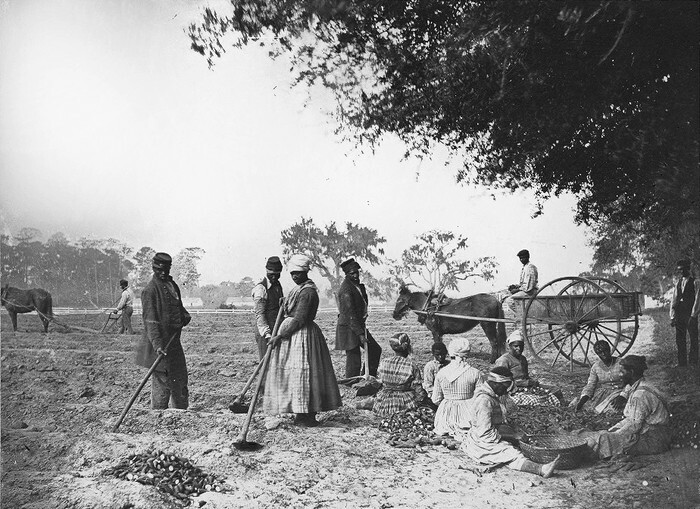 Many Catholics, especially in the South, supported the legal institution of slavery. Large numbers of Catholics fought on both sides in the Civil War. More than twenty Union generals and eleven Confederate generals were Catholic. Forty Catholics served the Union forces and twenty-eight served the soldiers Confederacy. Hundreds of Catholic women also ministered to the wounded and sick. Of the four million slaves emancipated in 1863, an estimated 100,000 were Catholics. In 1866 the Second Plenary Council of Baltimore adopted measures for their pastoral care, but unfortunately, Catholic parishes and schools in both the North and the South remained largely segregated by race until the middle years of the next century.